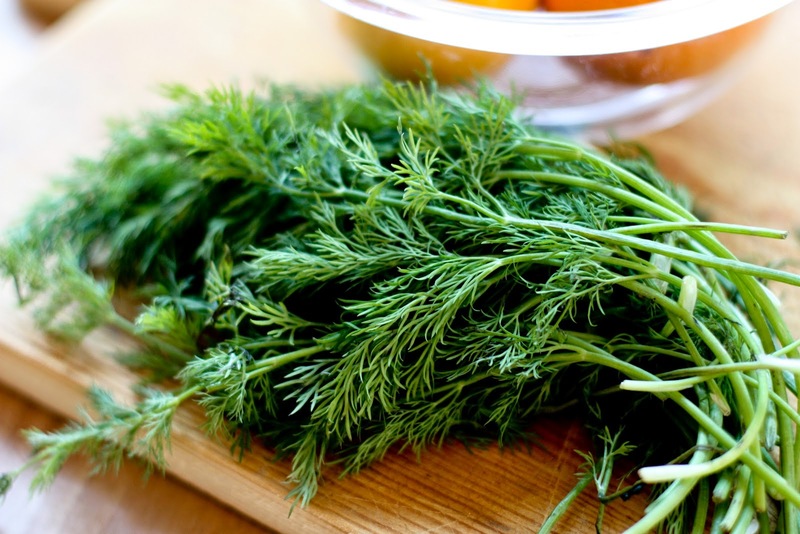 Dill is an exquisitely flavoured herb with is perhaps best associated with gravlax (cured salmon), regular salmon and other fish dishes, borscht, soups, and pickles. It is a hardy annual and both the leaves and seeds are used in flavouring. Unfortunately dill loses its flavour quickly if dried so it is best served fresh from the plant. Be that as it may it is worth deep freezing leaves for use out of season but this process will cause them to lose their fresh-green colour. Luckily dill is easy to grow from seed, but to ensure a constant supply of fresh leaves make successional monthly sowings from March to July. You will need a rich, well drained soil, preferably in full sun. 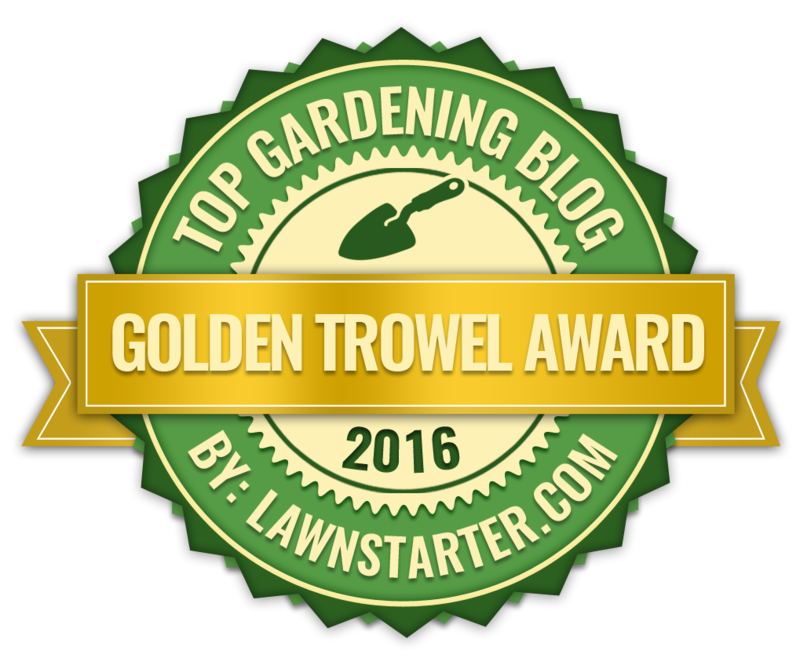 Sow dill seeds outdoors in shallow drills 25-30 cm apart. Dill seeds require light to help initiate germination so only cover with a thin layer of soil and gently water in. 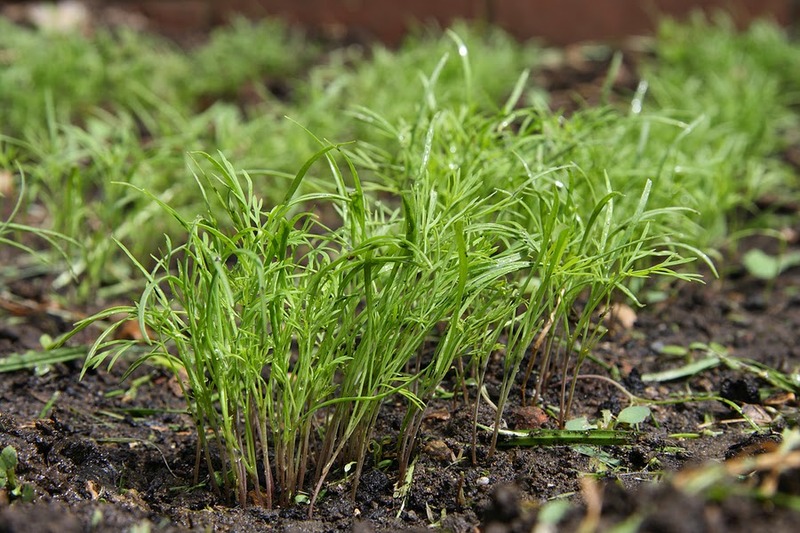 Once the seedlings emerge, thin out the weakest until you have approximately 1 plant every 30 cm. Keep the rows well weeded and watered. The plants should be ready for use 6-8 weeks after sowing. If you intend to collect your own seeds afterwards so a crop in July as this will give it enough time to ripen by the end of the growing season.